It was a bit surreal to be jogging in London with my iPod set to The Beatles. “I Want to Hold Your Hand” became my soundtrack as I ran past the Albert Memorial in Hyde Park; appropriate, given the love that led Victoria to cast her husband’s image in gold. The theme continued as I made my way to the Italian Gardens, the site having been constructed by Albert’s order as a gift for Victoria. Vs and As decorated the architecture (for Victoria and Albert). I jogged back past the thousands of parkgoers, making my way to Kensington. It’s still a little strange to hear all the various languages that can be heard in London (one Turkish teenager thanked me for taking his picture with “danke schön”; apparently I can pass for a German if I ever find myself in Turkey). It was as “Yellow Submarine” began to fade away that I realized my surroundings were unfamiliar. I soon discovered that I had overshot my turn by a solid half-mile. After a few more wrong turns, I successfully lost my bearings. It was not until I looked up and saw a steeple that I began to take courage; it helped me find my direction. We are lost until the signposts point us home. So it is with Christ. While visiting Westbourne Park Baptist Church I realized this fellowship of believers was another faithful signpost for so many. Strategically (and accidentally – the church was established in the 19th century) placed exactly between the “council estates” (what the US calls “government projects” ) and the homes of the affluent, it is a witness for so many that are near desperation. A multicultural church, it welcomes all. 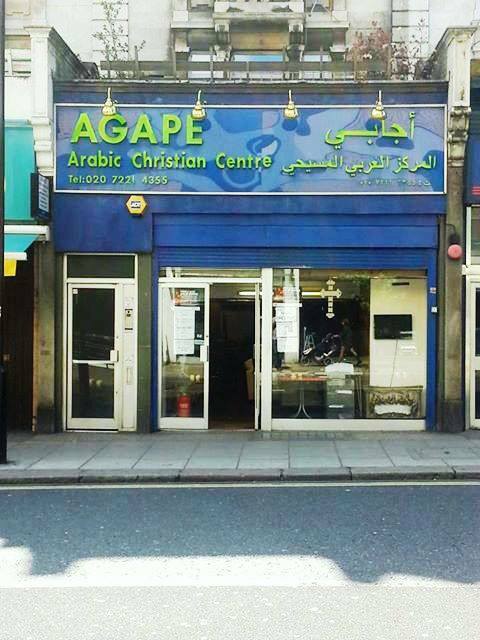 In the same way, the Agape Arabic Christian Centre, the only bookstore like its kind in the whole of Europe, is aimed at the Muslim population in London. Its manager explained to us how some Muslims that entered their doors would not come to Christ until after years and years of conversation and dialogue. But this ministry is leading people out of the darkness. In a place like London, sometimes that is the most we can hope for. So my wife made a solo excursion today while we were visiting these various ministries to an upscale department store called Harrods. 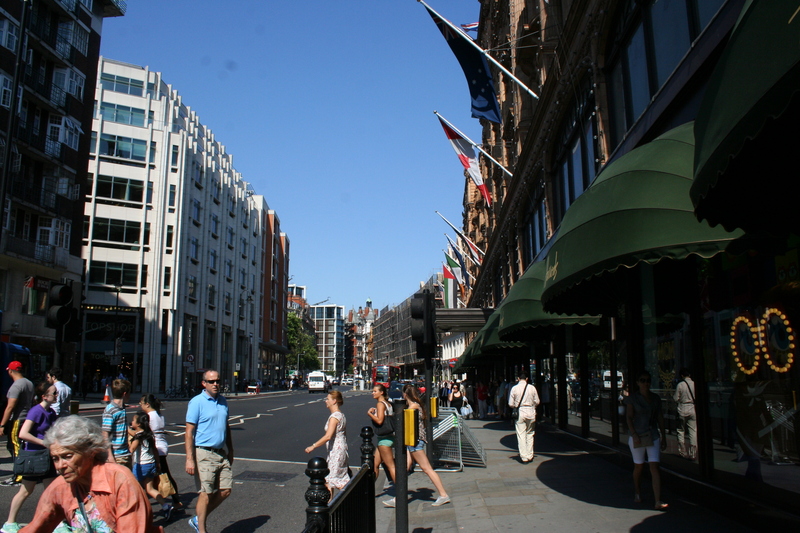 Founded in 1824, Londoners have been dumping their money on this store’s products for decades. 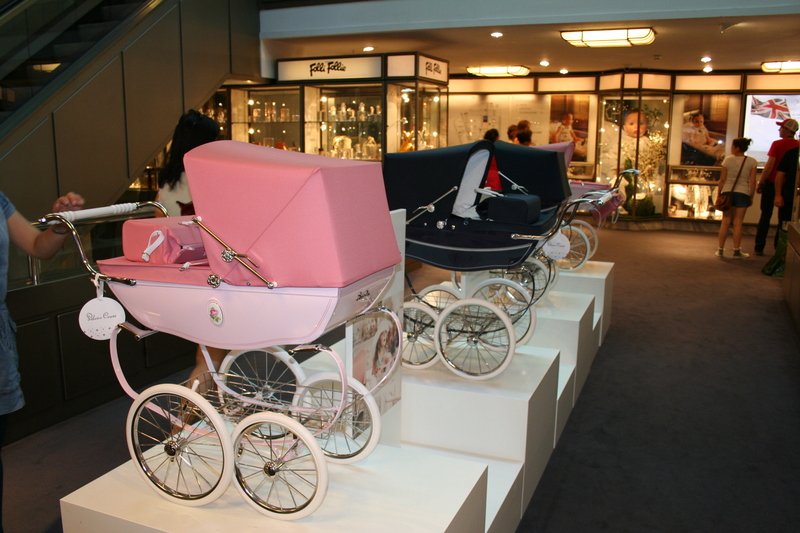 £350 strollers. Because, you know, your baby will care. Severely overpriced, but it was good to get the ropes of a London restaurant. Good to see that she’s a Gryffindor. And then to make a royal pilgrimage. 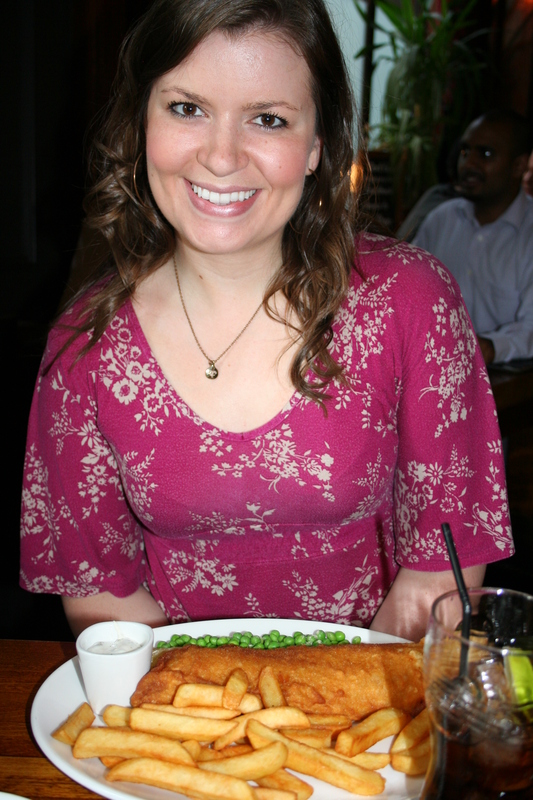 What an undeserved blessing, to be in London with this perfect woman. Haven’t spoken to you in ages but you may remember me from the Sneakers days. I have been studying in Oxford this summer and stumbled across your blog through Facebook. Not sure of your itinerary but be sure to find time to come to Oxford. My email should be available to you below and I would love to give you some recommendations.